I recently tried this recipe from Tracy at Beyond My Picket Fence. I like it better than any meatloaf I've ever had, and my family enjoyed it, too. I'm sharing it here with Tracy's permission. 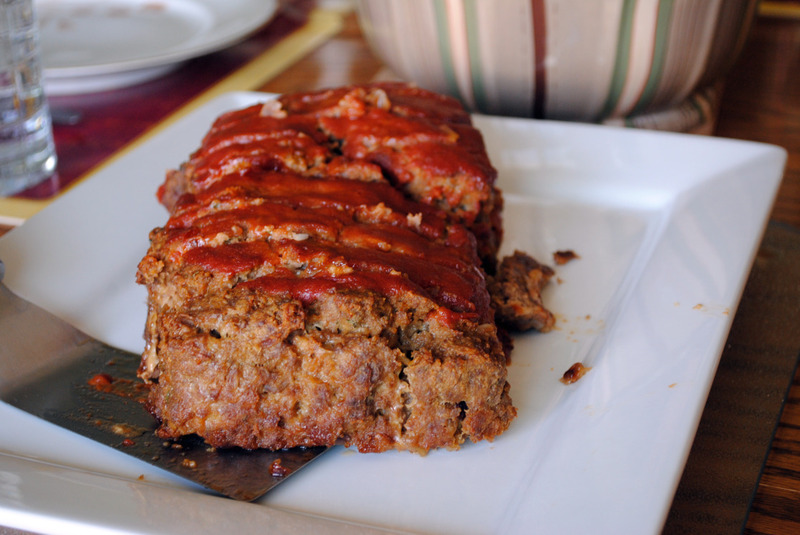 Combine meatloaf ingredients to make a moist mixture. Press into a greased loaf pan, and turn upside down into a pan lined with greased foil. Leave the pan over the loaf. Bake at 350 degrees F for 20 minutes. Remove from oven and gently pour off any grease, and remove the pan from the loaf. Combine the glaze ingredients, mixing well. Coat the meatloaf with glaze, and return to the oven, uncovered, for another 30 minutes. I feel famous, or something. LOL. I'm so glad you guys enjoyed the meatloaf so much.